I’ll be on a working trip to KK from 20th – 23rd Feb! I was in Kota Kinabalu from 1995 to 2001 to earned my bachelor degree (UMS) and subsequently served as a secondary school teacher there. 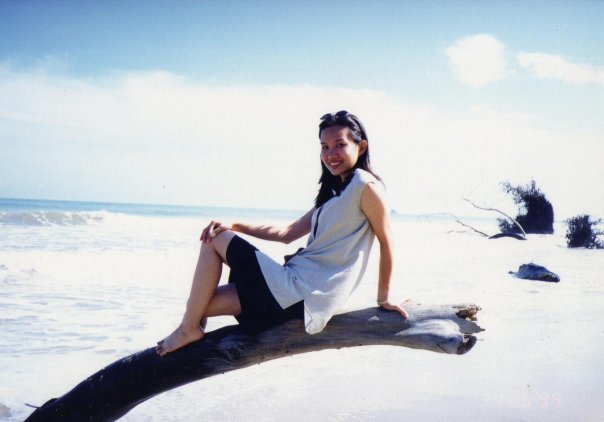 I left Kota Kinabalu in 2001, returned to Penang to obtain my masters degree (USM). Ever since returning, I’ve never stepped foot on Sabah. So, it’s been 10 long years. I heard KK has changed tremendously and I’m looking forward to see the changes, visit the nostalgic places and hopefully, meet up with my old friends. However, I’ve got a full schedule so will just hope for the best. Sabah is an extremely beautiful and breathtaking place, where I felt the sky was bluer, the sea was clearer, the trees looked greener and the air was fresher! Just look at the picture with no digital enhancements! I’ll be spending my “non-working” hours with Beeda and her group, that’s what we line dancers do on working trips, LOL! She has kindly arranged a Dinner & Dance for me and a night of dance workshop where I’ll be sharing some dances and techniques. I’m looking forward to meet the KK Line Dancers, some of whom I have often online-communicated with before but never met. We’ll be having a great time, I’m sure! For more info on the Dinner & Dance and Workshop, please contact me or Beeda. Kota Kinabalu, here I come! Hi, Jennifer, sounds like going to be a great visit….you have a fantastic time.